Did you hear? The folks over at Gaijinworks are localizing a pair of Japanese PSP games for European and North American release ... sometime in the next year, I would guess. And not only that, but both games may receive physical (with cases, manuals and UMDs) as well as digital releases should demand prove strong enough. Sadly, despite my continued love for the PSP, and although I love Gaijinworks for daring to bring more of the system's Japanese titles to my neck of the woods, I can't say I'm all that interested in picking up either of these games. What do the rest of you think of this news? Are any of you planning to purchase either or both of these games? If so, which one--or which ones? 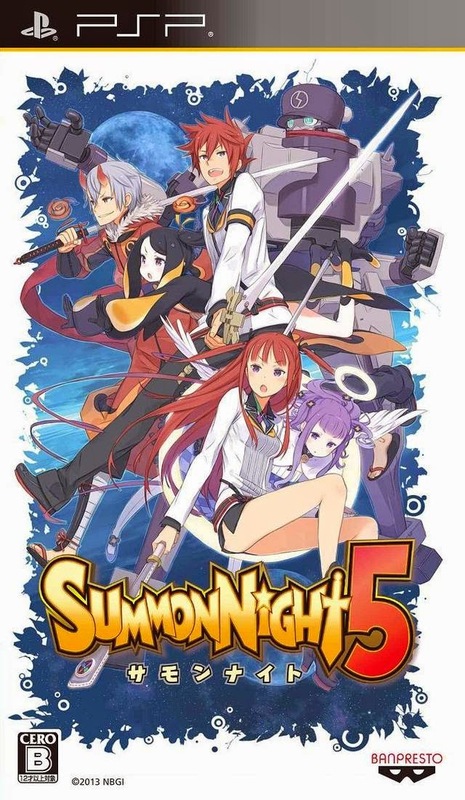 I didn't even know the second Class of Heroes had been localized, let alone that there were five Summon Night games. It's weird how the Vita and 3DS have become a bastion for dungeon crawlers. I'm actually currently working through Etrian Odyssey Untold. I wonder if the localization cost for dungeon crawlers (and SRPGs) is lower compared to other RPGs. 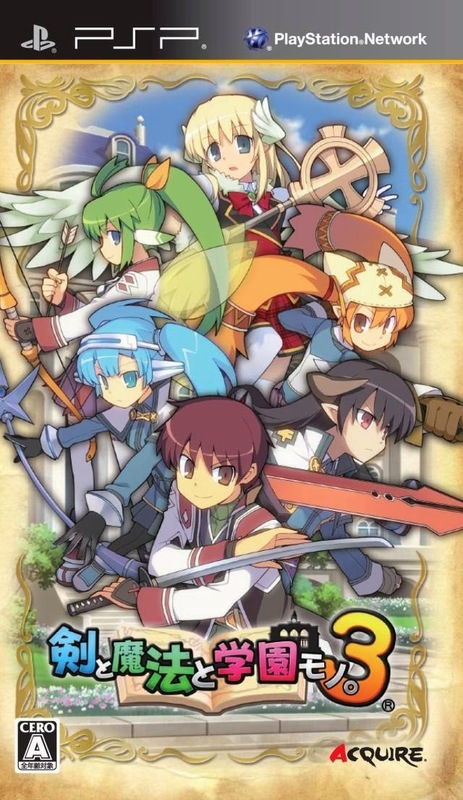 Class of Heroes 2 was released in NA a couple of years ago, although I believe the physical/boxed version was only sold to folks like myself who took part in a special pre-order campaign. I believe the digital version's still available via PSN, though--or at least I would hope so! As for the 3DS and Vita being a bit (or a lot!) dungeon-crawler-heavy, I can't disagree with you there! I like it, in a way, but I also kind of wish we'd get more RPGs of other stripes, so to speak. I have to imagine part of the reason for this is tied to what you suggested here: that these sorts of RPGs are easier to localize, and probably because they feature/include less text overall than a more traditional JRPG. I'm salty about that special pre-order that wasn't exactly advertised well. I really wanted it. If I'm being honest it would still be sealed because I haven't touched CoH1 or CoH2 at all. If these are Vita compatible downloads I'll get them at some point. Hey there, Chief! Yeah, I only found out about the CoH2 physical pre-order extravaganza due to the fact that I regularly visited NeoGAF at the time. Otherwise, I probably would've missed it, too. Don't feel bad about assuming any copy of CoH2 you may have bought would still be sealed today, by the way, as I'm pretty sure my copy *is* still sealed. Unless I opened it to take photos of it, I mean. Regardless, I really should stick it in my PSP soon and give it a go. Maybe Class of Heroes 2 needs to be on your shortlist. After Contact? those three titles are going to keep me plenty busy for some time to come. Hmmm, maybe I'll have to check this out, miruki--or at least check out a few videos of it. The few glances I've taken at stills/screenshots haven't done much to interest me, but maybe seeing it in motion will do the trick. Regardless, I'm glad to hear you're excited about its release! Hello again! Hmmmmm, you're the second person in the last two days to mention Xcom to me. I may have to check out *that* game soon--although I have to be honest and say the game's name/title doesn't do much for me! Oh, and, yes, I definitely have a Vita now! No Atelier games yet, though, I'm afraid. Maybe someday.